Why is the best weather the weekend before? Why does the best weather always seem to happen the weekend before I go on a climbing trip? Sunshine, clear skies and low winds bless the destinations of my long-planned climbing trips on the weekends before I try to go climbing. The weather forecasters often refer to “unseasonably good weather” when talking about those weekends, before going on to say “but the weather will change mid-week.” This means that by the time I try to go climbing the weather is rainy, unsettled, changeable or in some other way not really ideal for rock climbing. That preceding weekend feels like a teaser of what might have been. It makes not being able to climb because it’s raining that little bit more annoying. 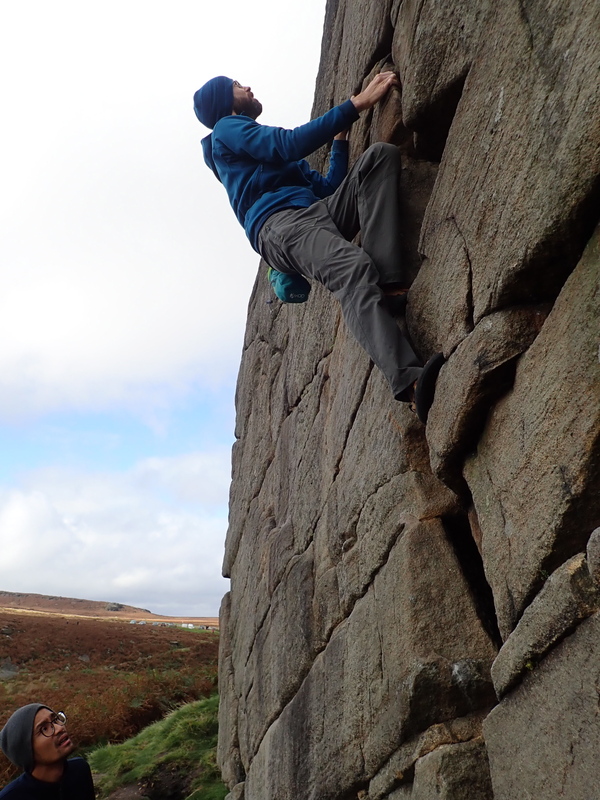 Me climbing Route 3 (VB 4a) on The Chant section of Burbage North. Climbing in the Peak District at this time of year usually means three things for me. Hoping that it won’t be raining so that I can actually climb. Trying to avoid climbing on rock covered in damp, green lichen that it’s easy for my hand or foot to slip off. Plus, climbing at a level that I can manage and enjoy when I either have a cold or am recovering from one. 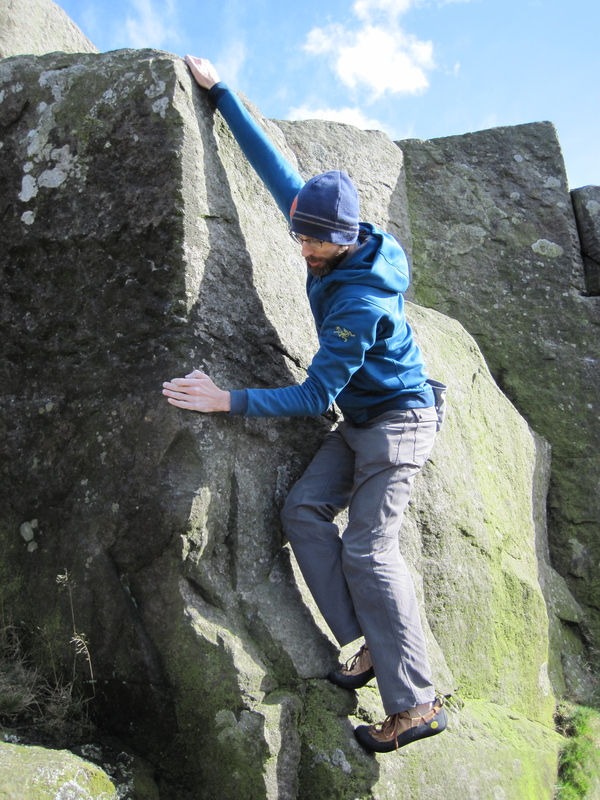 Climbing One Inch Arete (VB 4a) in the Little Quarry at Curbar Edge.